One of the most prestigious maritime scholarship in the Philippines or even abroad is the Norwegian Shipowners Association (NSA) Philippines Cadet Program famously known as the NSA Scholarship. 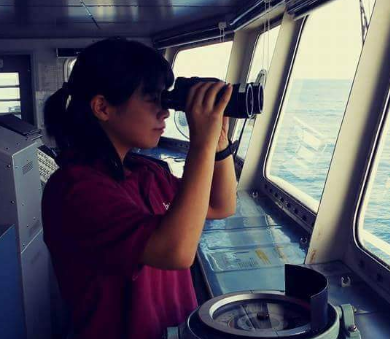 If you want pursue a career at sea, applying for a scholarship is your best course of action. But before that, you must also meditate deep within yourself if this career is what you really want. The seafaring industry in our country is very difficult for fresh graduates. You need to have backers within the manning agencies in order to board your first ship. Otherwise, you will be losing a great deal of unemployed time. Since most of us doesn’t have that kind of connection, a scholarship/ sponsorship grant is a must. Since maritime course is very costly nowadays, you will save a great deal of time, money and effort once you become an NSA Cadet. The beauty of the NSA Program is that they don’t require a backer for every applicant. Meaning, everyone is open to join provided that you meet the qualifications. If you think you qualify with those entry level requirements, visit http://www.ntcmanila.com/application.php. This link will take you to their online application form. Fill in the required information honestly and click submit once finish. On the other hand, you can print the application form and send it to their address. Either way, they will call or text you for your schedule. It is a “first apply – first exam” basis so you have to wait for their response. For your information, taking the exam is FREE of charge. There are the series of tests that you will undergo. 1. Pass the written exam. A whole day exam which covers Math, Science, English and Inductive Reasoning. 2. Pass the Computer Based Exam. A half day exam which covers IQ Test and Ability Profiling. After taking the initial two exams, you may have to wait again for their announcement of passers thru call, text or Facebook Page. Waiting time for the result is approximately 1 to 2 weeks. If you did not receive any call or text, you may follow up thru their landline (02) 779-6830 loc. 134. Now once you pass the first two exams, you can proceed for the next tests. But gather first the following requirements which will be submitted once you qualify for the Oral Interview. The third and final tests are the following. 3. Pass the Oral Interview. A one on one interview with the facilitators and big shots who are running the program. 4. Pass the Medical Examination. Expenses shouldered by the applicant. If you pass all these exams, CONGRATULATIONS! You are now closer to your dreams of becoming a seaman. Here is an overview of the NSA Philippines Cadet Program Selection Process. For those who failed, you can still apply again for the scholarship next school year. If you are near the area you may visit any of these partner schools. Ask whatever you want to know more about the scholarship program including the selection process and benefits. They will be very glad to help you. These are also the accredited schools that you will study in once you pass all the series of tests. Bachelor of Science in Marine Transportation – Deck Officer. Highest rank is Captain. Bachelor of Science in Marine Engineering – Engine Officer. Highest rank is Chief Engineer. These are the benefits of being an NSA Scholar. FREE Tuition Fee for 1styear and second year. FREE Dormitory for 1styear and second year. FREE Meals for 1styear and second year. FREE Upgrading Training and Courses. Company Assignments during 1styear or second year. There are also other advantages of being an NSA Cadet aside from the ones listed above. The Scholarship’s structure is different from the regular students. While the regular (non-scholar) cadets practice the 3-1 academic structure, a 2-1-1 program is implemented for the scholars. This means that NSA Cadets have two consecutive years in the academics. On your 3rd year, you will be having your apprenticeship or OJT on board international vessels for twelve months. You will use this time period to study, learn and practice the job of an Officer or Engineer. And yes, your company will pay you real dollars. After finishing your apprenticeship, you must go back to your respective schools to continue your studies. You will be on your fourth year by then. But this time, you will pay for the tuition, dormitory and other expenses you used to have for free. Program structure for NSA Cadets. You will use the money you earned during your apprenticeship. This is the last segment of your scholarship that you must finish in order to graduate. The 2-1-1 structure is designed to transform you into a competent, highly skilled and a top caliber Officer or Engineer. Your first and second year in school tackles the theoretical aspect of your career. Here, you will learn by the book with a little bit of the practical side. But nothing beats the real thing. Apprenticeship is where theory comes to life that’s why it’s part of the program. You will understand more about COLREGs, main engines, cargo operations, scavenging, mooring operations, chart works, and many others. Exposure to the actual jobs on board will give you better perspective on your work once you return for fourth year. More importantly, you will receive a bachelor’s degree upon graduation. One of the requirements for this is to complete a 3-year academic studies and a 12-month apprenticeship. Sounds a bit complicated? Let’s compare the 3-1 and 2-1-1 structure. After finishing your three straight academics in the 3-1 structure, you will graduate as an associate degree. You still have to complete 12 months worth of apprenticeship in order to get a bachelor’s degree. This is a requirement from CHED and for filing the licensure examination. Whereas in the 2-1-1 structure, you will graduate as a bachelor’s degree. It’s because you already finished 3 academic years and a 12- month apprenticeship. You can get your diploma and Transcript of Records (TOR) after graduation. And when you are ready, you can also file for a licensure examination. A 12-month sea service experience is needed before you qualify for the board exam. The 2-1-1 structure is very advantageous for the scholars. You can be a Junior Third Officer or Fourth Engineer after passing the licensure examination. This is the typical career path for NSA Cadets. Your company’s goal is to transform you into an Officer or Engineer once they pass the licensure exam. They see a shortage of competent officers and engineers that’s why they are securing their fleet. If you still have queries, you may call (02) 779-6830 loc. 134. Please note that they will not entertain questions and calls via mobile number.